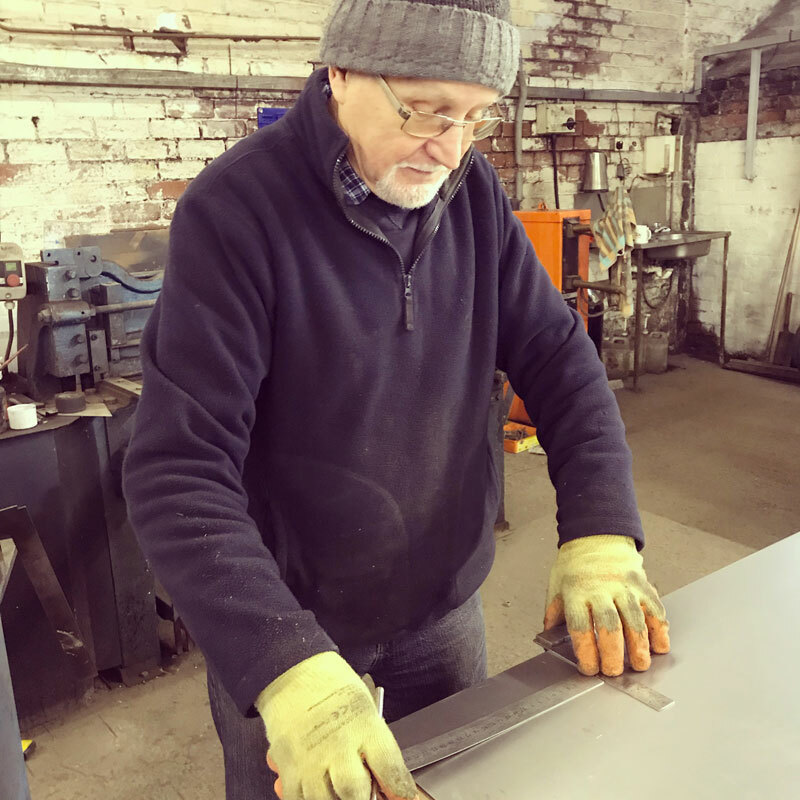 GR Fabrications was established over 40 years ago by Graham Ratcliffe (pictured here) and is now run by father and son Lee, who has over 30 years' experience as a steel fabricator. We specialise in commercial, domestic and bespoke steel fabrications, from industrial machine stands and dog waste bins to ornamental gates and railings. Lee also specialises in one off, bespoke projects, for example, working with TV production companies and set designers for well-known TV dramas. Lee has also worked alongside a friend to design and manufacture the famous Milleneum bench on Holcombe Hill in Ramsbottom near Bury.